A brand of cannabidiol (CBD) was approved in June 2018 for treatment of epilepsy by the United States Food and Drug Administration (FDA). Epidiolex (cannabidiol) is indicated for treatment of seizures in Lennox-Gastaut syndrome (LGS) and Dravet syndrome, two rarer developmental disorders that are particularly difficult to treat. This medication, which is a component of the marijuana plant, is approved for adults and children over the age of two. CBD is specifically recommended for control of seizures in Lennox-Gastaut syndrome and Dravet syndrome and is not currently for treatment of other types of epilepsy. Studies have shown that CBD, when taken with other anticonvulsant medications, reduces the frequency and severity of seizures among people who have these disorders. LGS is a developmental disorder that begins in early childhood and is characterized by multiple seizure types, as well as physical and cognitive deficits. The seizures of LGS are difficult to control and are managed with a different medication regimen than that which is used for most epilepsy types: a combination of Topamax (topiramate), Lamictal (lamotrigine), Klonopin (clonazepam), Felbatol (felbamate) or the ketogenic diet. Despite these anticonvulsant options, people with LGS often continue to suffer from persistent seizures. Epidiolex comes in an oral solution (liquid form), and the recommended dose is based on weight. The starting dose is 2.5 mg/kg twice daily and may be gradually increased up to a dose of 20mg/kg/day. Dravet syndrome is a developmental disorder that begins in early childhood and is associated with multiple seizure types as well as seizures triggered by fevers. People with Dravet syndrome often have behavioral challenges and learning difficulties. The seizures are typically treated with Depakote (valproate), Onfi (clobazam) Diacomit (stiripentol), Topamax (topiramate), or a ketogenic diet. Even with treatment, people with Dravet syndrome may continue to experience persistent seizures. CBD availability may have an impact on seizure control and quality of life for people who have Dravet Syndrome. So far, CBD is not approved for other types of seizures or epilepsy. It is still too soon to tell whether CBD will prove to be beneficial and tolerable for people with other seizure types besides seizures caused by LGS and Dravet syndrome. Studies using CBD for seizure control are focused on refractory seizures, which are seizures that are not easily controlled with anti-seizure treatments. For example, in a study of three patients who had seizures induced by brain tumors that could not be controlled with other anticonvulsants, CBD decreased the severity of the seizures for all three patients as well as the seizure frequency in two of the patients. Epidiolex comes in an oral solution (liquid form), and the recommended dose is based on weight. The effective dose was found to be 10-mg/kg/ day, which is usually divided into two doses per day. It is started at a dose of 2.5 mg/kg twice per day and increased to the target dose after one week. It can be increased up to a dose of 20-mg/kg/ day if needed, but increased side effects have been found to occur at the higher dose. Anti-seizure medications should be taken at the regularly scheduled times, without skipping or combining doses. Sometimes, children and adults who have LGS or Dravet Syndrome have some difficulties taking oral medication due to swallowing problems, behavioral problems, or cognitive problems. It may be a challenge to get your child to take any medication, and you might need to develop strategies to help your child with this process. Seizures are caused by erratic electrical activity in the brain that can spread and cause uncontrolled physical movements or alterations of consciousness. Most anticonvulsants work by slowing down excitatory nerve activity in the brain, but LGS and Dravet syndrome may be treated with anticonvulsants that are not typically used for most types of epilepsy and often require two or more anticonvulsants. It is not completely clear why CBD can reduce some types of seizures. It is known to have a range of biochemical effects on nerve cells in the brain, and some of these biochemical interactions may have a relationship with the effect of CBD on seizures. The side effects of CBD may include drowsiness, generalized fatigue, sleeping difficulties, weakness, decreased appetite, rashes, and diarrhea. More severe side effects include liver injury and mood changes. Liver injury can cause jaundice (a yellowish color of the skin and eyes), abdominal pain, vomiting, and dark colored urine. Mood changes may include depression, anxiety, and suicidal ideation (thinking about or planning suicide). CBD can interact with other anticonvulsants. For example, it may raise the blood level of Topamax and Banzel (rufinamide) or decrease the blood level of Onfi. These interactions can affect seizure control and may result in side effects. When used with other anticonvulsants, CBD can cause elevated liver enzymes, which is often a sign of liver injury. CBD does not have abuse potential and does not produce a ‘high’ that is typical of marijuana, so you do not need to worry about your child abusing the drug or becoming addicted to it. However, it is possible that others may misunderstand the effects of the drug, particularly because it is new and because it is derived from the same plant that marijuana is derived from. Cannabidiol is a controversial treatment because it is one of the components of marijuana, a widely known recreational drug. There are strong opinions about the drug, and proponents advocate for its legalization for medical uses, while some advocate for the legalization of recreational use as well. At this time, cannabidiol has been proven effective for only a few medical conditions. Due to the side effects, it is recommended to be used with caution. If you are a parent of a child who has either Dravet syndrome or LGS, you will likely be very involved in administering the medication because these conditions are usually associated with substantial limitations in self-care. Given that CBD is a fairly new therapy for epilepsy, you may experience challenges when it comes to health insurance coverage or availability of the medication. In some instances, you may encounter a few misunderstandings about the medication or a lack of familiarity from family, friends, or others who are involved in your child’s care. It is best for you to be prepared to provide information about this medication in case you are faced with these challenges. Gaston TE, Bebin EM, Cutter GR, Liu Y, Szaflarski JP; UAB CBD Program. Interactions between cannabidiol and commonly used antiepileptic drugs. Epilepsia. 2017 Sep;58(9):1586-1592. doi: 10.1111/epi.13852. Epub 2017 Aug 6. Reddy DS, Golub VM. The Pharmacological Basis of Cannabis Therapy for Epilepsy. J Pharmacol Exp Ther. 2016 Apr;357(1):45-55. doi: 10.1124/jpet.115.230151. Epub 2016 Jan 19. 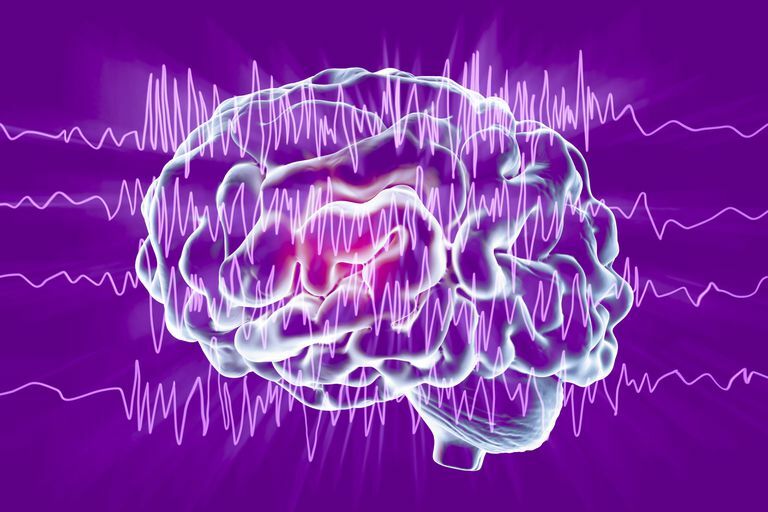 Could An Obesity Medication Help Treat Epilepsy?